Donald Cargill, Gilkerscleugh and the Glenkens in April, 1680. 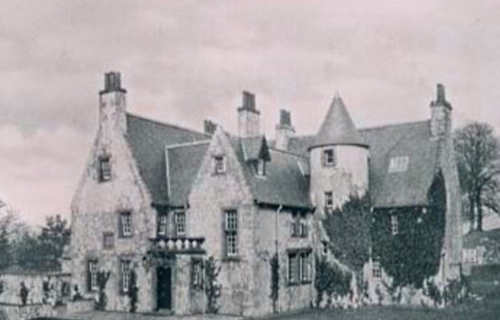 The 17th century house at Gilkerscleugh before it was demolished. Cargill’s letter reveals that he had stayed at Earlstoun Castle. Cameron had also stayed there. Earlstoun was not the only recorded “safe house” used by Cargill and Cameron. Cargill sent the letter from ‘Gilkie’, i.e., Gilkercleugh House, which formerly stood at Low Gilkerscleugh in Crawfordjohn parish, Lanarkshire. Muirhouse, aka. The Murrays, near Thankerton © Mary and Angus Hogg and licensed for reuse. The Murrays is now known as Muirhouse. It lay on the estate of, and next to the house of, Lady St Johns Kirk, who also was involved in protecting Cargill. It is a notable feature of the recorded houses used by Cameron and Cargill that elite women – Lady Earlstoun, Lady Gilkerscleugh and Lady St Johns Kirk – appear to have played a key role in sheltering them. The Society people in the Glenkens. Cargill addressed his letter to Alexander Gordon of Earlstoun, ‘Mr Ardoch, and Mr M’Millan in Arrendarroch’. Earlstoun was well known to both Cargill and Richard Cameron. 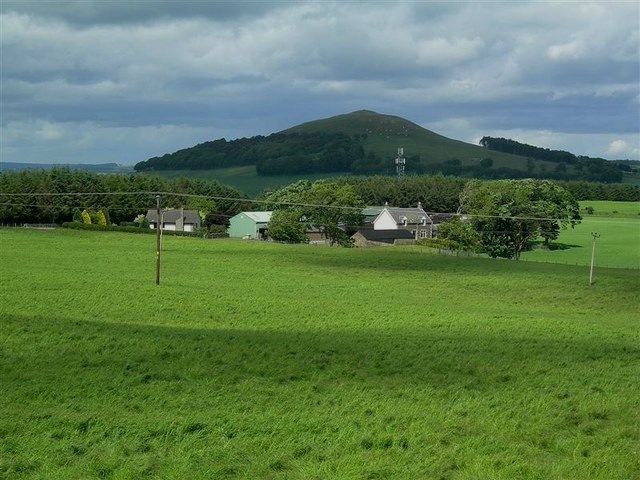 Who ‘Mr Ardoch’ was is not known, but it is possible that ‘Mr Ardoch’ refers to the holder of the farm at Ardoch in Dalry parish, rather than a surname. A Robert Stewart of Ardoch was killed at Auchencloy in December, 1684. McMillan lived at what is now the ruins of the old farm at Arndarroch beside the Kendoon Aqueduct in Dalry parish, Kirkcudbrightshire. Once again, it appears that Cargill, like Cameron, was prevented from visiting the Glenkens due to the pressing nature of their activities further north. Instead, Cargill sent the letter via ‘our brother’ who would fill in for Cargill and convey information to Earlstoun and the others. Whatever the information was, it was important to Cargill that word of it reached both the Glenkens and the mysterious unnamed individual he mentions. References about Cargill and Cameron failing to rendezvous in their letters to the Earlstouns suggest that the latter was Richard Cameron. The essential message of Cargill’s letter to the godly of Glenkens was that they should withdraw from others: ‘for the fewer, we shall not be the less strong’. ‘If we must die in the common lot’ they would ‘leave a model to them that come after … that [they] may go on according to that pattern, and do well’. In particular, Cargill urged them not to join in worship with their former presbyterian brethren who had owned the King’s authority, even though they had previously joined with them: ‘accept of them not, till they seriously resent, and utterly renounce these things’. It is probable that ‘our brother’ was the field preacher Thomas Douglas, as Cargill states that ‘he doth the work of the Lord; and ye shall find the Lord hath provided better for you than if I had come.’ Douglas was the only minister to join with Cameron and Cargill in 1680. Earlstoun did not require any introduction to Cameron. Letter from Donald Cargill to Alexander Gordon of Earlstoun, Mr. Ardoch and Mr. [John] M’Millan in Arndarroch of Wednesday 14 April, 1680. I have purposed, according to your desire, to visit you, but have been hitherto hindered. The cause of my present return, after I was come mid-way, our brother [Thomas Douglas?] will shew you, and, I hope, will satisfy you; and if the Lord give opportunity, I shall yet fulfil my purpose. What I purposed to have imparted to —— [Richard Cameron? ], who was gone before I came, I have imparted it to him, who will communicate it to you; so that I need not write of them further. Only leave your own things for a little, till ye receive them from God in a better way; for not only is the seeking but the receiving of favours from men, stated in such opposition to God, as not without a snare to the soul: and if it begets a just jealousy in God, to have any conversation with those with whom he hath such enmity, and seeing providence hath closed the door of doing for yourselves in these things, lay ye them aside also: and what comfort ye have within yourselves, what work ye shall give yourselves too; and what interest ye shall espouse: but let all things be little to you in respect of this, to have the land brought about to be the Lord’s, and to have the Lord reigning in it. Be frequent in prayer and humiliation, for I will assure you, ye [>243] will find those duties to be more easy and sweet in performance, more hopeful in their expectation, and more prevalent as to their effects, than before they have been. But never think yourselves right till ye have repented of what is past, and have intended to reformation in all things. And let the desires and designs of your hearts be such, that, in a manner, he cannot but both avouch you, and prosper them; and severe yourselves from the sins, interests, and courses of this present generation; otherways these who have been chastised by themselves, may be again chastised with them in their judgments, which shall be both dreadful and near. But haste you out of the city, for that hinders, and seek to be united to God, and to one another in truth and love; and this cannot be without the pouring out of the Spirit, which must be obtained by prayer; and beware of patching up with men, for they have their own cards to play, and their own way to go, which are not only diverse from, but directly opposite to God’s; and if I mistake not, God’s intention this time is clearly to sever us, that he may shew us kindness by ourselves (and till that be, we shall never have him as we would) and employ us as we desire to be employed: and fear not, for the fewer, we shall not be the less strong; and forget not to shut yourselves up in a covenant with him, that if we must die in the common lot, we may die with repentance, and such purposes in our heart, and leave a model to them that come after, of the temple we minded to build to him, that may go on according to that pattern, and do well. As for our brother [Thomas Douglas? ], ye both ought, and I [>244.] know ye will receive him gladly, and encourage him in all things, for he doth the work of the Lord; and ye shall find the Lord hath provided better for you than if I had come. The Lord establish you in every good work. Amen. ~ by drmarkjardine on April 3, 2013.